IU South Bend offers a myriad of opportunities for undergraduate research. 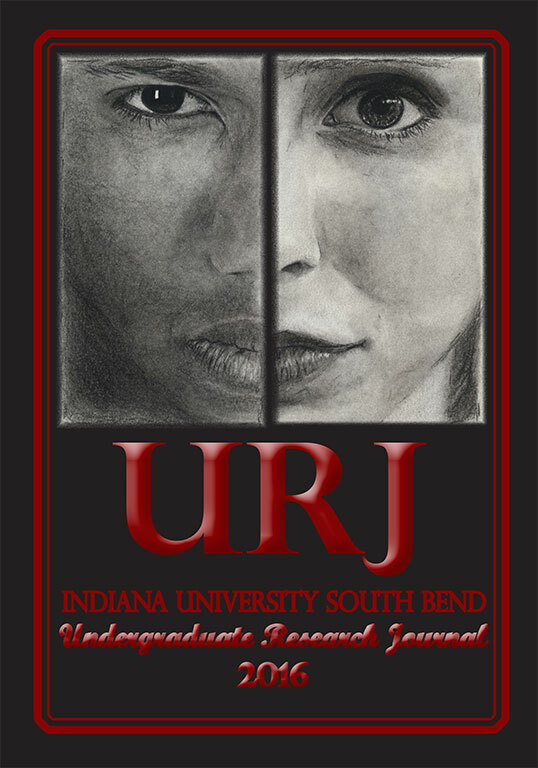 The IU South Bend Undergraduate Research Journal (URJ) is a refereed journal of outstanding scholarship featuring the original work of IU South Bend undergraduates. This publication is committed to highlighting that research and praising our undergraduate colleagues for their academic success. Innovative Contribution or Interpretation–original research or novel ideas which engage with and/or contribute to others’ research. Rich Content–bringing forth various techniques, results, research data, or publishable findings within the article presented cohesively and referenced as appropriate. Topical Fluency–exhibiting not only knowledge of the material facts or theories, but also the ability to engage in a salient discussion of the issues with the reading audience. The URJ is one of several student-run publications on the IU South Bend campus, and proudly so. All editors-in-chief and assistant editors are undergraduates who collaborate with the student authors and are integral in evaluating, compiling and designing each year’s edition. The final published product showcases the exemplary scholarship of IU South Bend’s student body. NOTICE | If your project has required IRB approval, please attach all approval documents, and write the approval number on the checklist paper. Thank you for your interest in submitting to the Undergraduate Research Journal of Indiana University South Bend during the 2017-2018 academic school year! This year's deadline for submissions is February 1, 2018at 11:59 p.m. The 2017-2018 edition of the Undergraduate Research Journal will be available sometime in April 2018. Check back to see important updates to the deadline. Please be aware, a qualified faculty member of your choice must first review your submission before submitting to the URJ. A qualifying faculty member may be one of the following: a class instructor, faculty advisor, or an instructor in the area of research from which your paper originates. There is a Faculty Checklist that must be filled out by your instructor and sent in along with your manuscript. This checklist contains the criteria with which your paper must meet before submission to the URJ. Please provide your instructor this document or a link to it to fill out. In addition, you may download the Student Guidelines document to help you submit your paper. Following review of your paper manuscript from your qualified faculty member, it is the author's responsibility to return these items to the URJ. Submission by email is required. With much thanks and appreciation for your anticipated participation. Below are guidelines to aid in the submission process. These guidelines cover the basic paper requirements your faculty member with be following. Please kindly note, all of these guidelines must be met before submitting a paper to the URJ. Please provide the following in one document, along with the PDF checklist completed out by your instructor. Please send only these two documents. Paper submissions to the URJ must be made electronically. Printed drafts are NOT acceptable. final versions must be made in the following electronic formats: Latex (Please contact the editor if you have a scientific paper for more information) and Microsoft® Word® ONLY. The URJ considers the following research: no review papers, original research (i.e. laboratory) or novel ideas on others' research, and a minimum of 3 appropriate references. No specific citation formats are required; however, citations of consulted literature must be appropriately formatted and consistent with the paper's academic area (i.e. APA, MLA, CBE, etc). Research must have been completed while an undergraduate IU South Bend student. REU's and other off-campus research programs are acceptable as long as you were an IU South Bend student. However, work completed by transfer students for their previous institution does not qualify (i.e. transfer student from IU Bloomington completes research with IU Bloomington faculty does not qualify). Paper submissions must be written in an interpretable manner to general audiences. The URJ is currently seeking enthusiastic, motivated, and reliable editors to help with compiling content for this year's Journal. Please contact the current Editor-in-Chief, Leah Klopfenstein at lklopfen@iu.edu if you are interested in helping to edit the 2017-2018 URJ or if you have any questions about editor's positions. Please direct any questions not covered to the Undergraduate Research Journal at iusb.urj.editor@gmail.com. The Undergraduate Research Journal has archived articles dated from 1998 through 2016.